Ross, R. (1898). Pigmented Cells In Mosquitos. British Medical Journal,1(1939), 550. Manson, P. (1900). Experimental proof of the mosquitomalaria theory. British Medical Journal, 2(2074), 949. 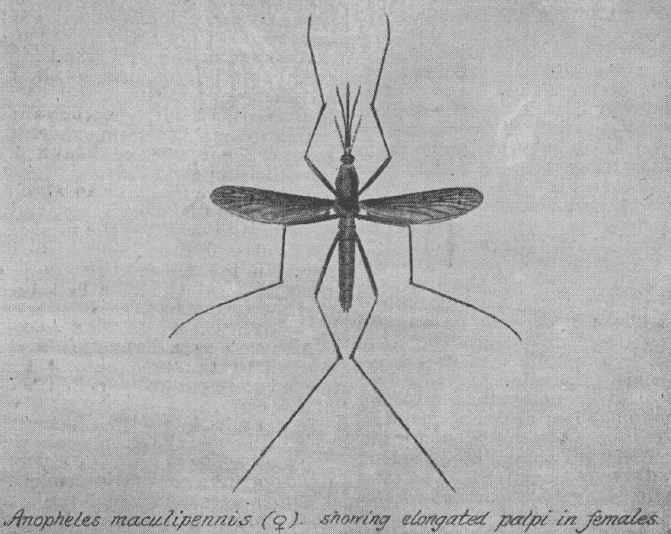 “Although the theory that the malaria parasite is transmitted from man to man by particular species of mosquito is now accepted by all biologists and medical men… it cannot be said that the general public unreservedly believe in, much less practically apply it… Impressed with this fear, and bing anxious to see some fruit from a theory which I knew to be true and for which I was in a measure responsible, I cast about for means by which the conversion and cooperation of the public might be secured." Ross, R. (1897). Observations on a condition necessary to the transformation of the malaria crescent. British medical journal, 1(1883), 251. “Bignami cites the general opinion of Italian peasants in favour of the view that water is not the medium; in India, however, an opposite opinion is frequently expressed, not only by natives, but by forest and survey officers, and sportsmen who are intelligent men, and who are continually in contact with malaria."